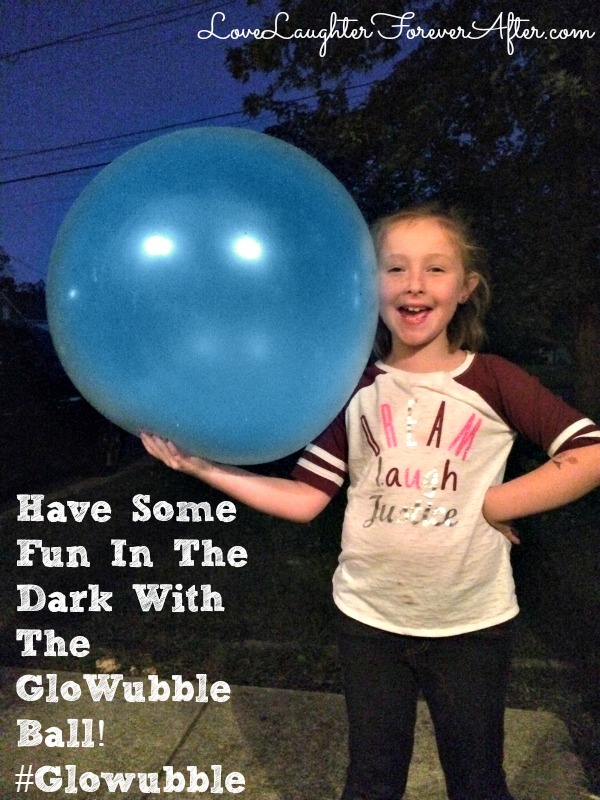 Have Some Fun In The Dark With The GloWubble Ball! You Glowubble Ball comes with everything you need to have a great time! And it inflates up to 3 feet! How cool is that!? It comes with a air pump for easy inflating (make sure you grab some batteries at the store, they aren’t included!). It only takes minutes to inflate, but I would have an adult do it to make sure it goes as smoothly as possible. 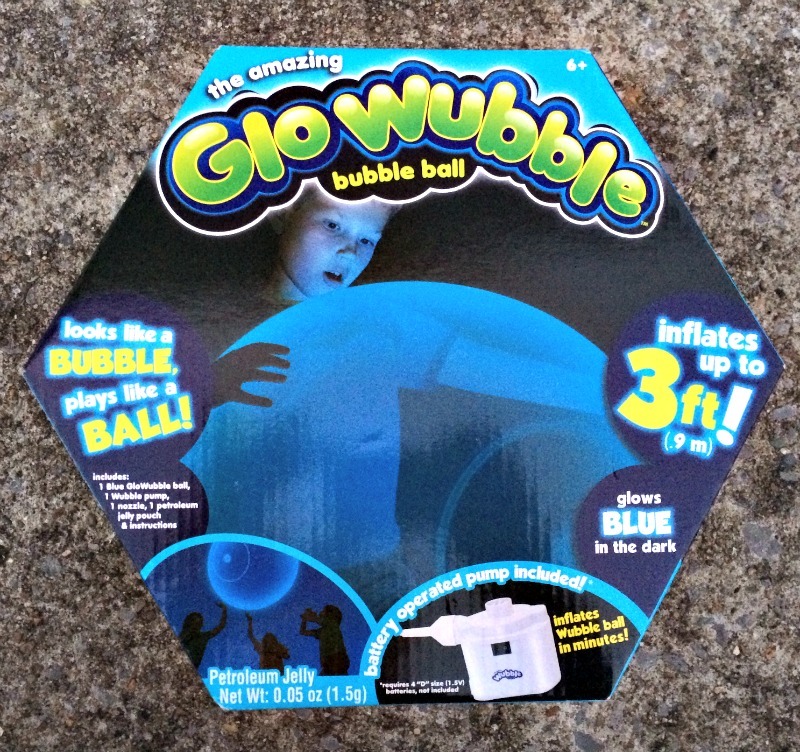 Once you have your Glowubble ball blown up, I would hold it up to the light for a minute or so so you can “charge” it before heading outside to play. It glows really well! It’s also super durable! We played with it outside and we threw it, hit it, kicked it, and all kinds of crazyness! You can also deflate it so you can rinse it off if it gets dirty. Remember to keep away from sharp objects though, it will pop and that would be sad! 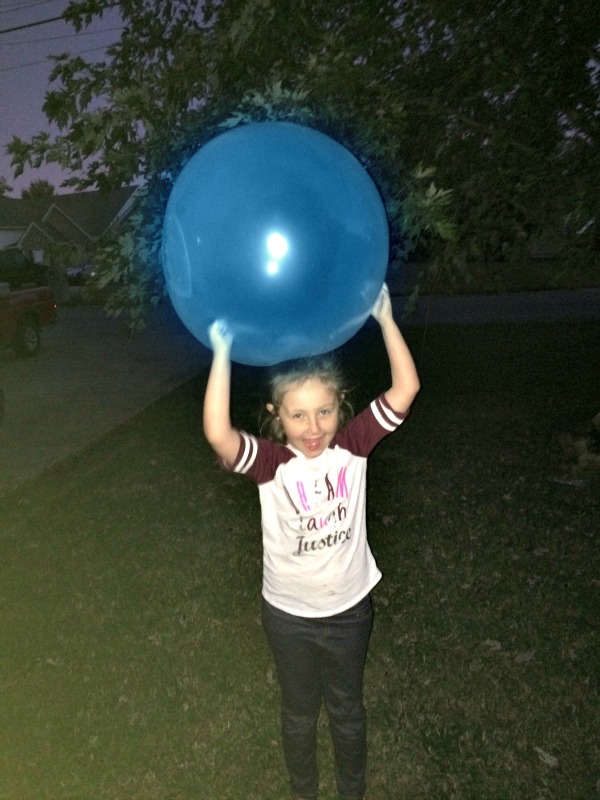 In conclusion, we have decided that the Glowubble would make an awesome gift for anyone that loves to play outside and have some fun! For ordering information, make sure you check out the Glowubble Website! This looks like such a fun gift!!! this is so cool! I need to get a few of these for some gifts! Awesome gift idea. It would be great to take camping.